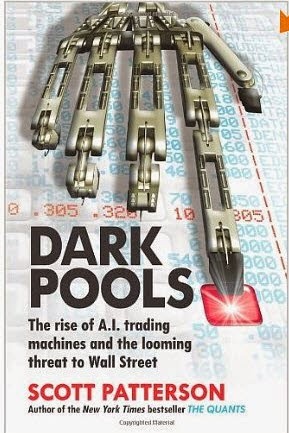 #uftrr #jws #mw #next: Worth a Read "Dark Pools"
It's not going to make you a better trader but if you're interested in History, Technology and Trading it's a position for you. History of exchanges, traders, funds dealing exclusively and/or partially in computerized trading scene since 1980's up to now. Will deepen your understanding of market structures and processes.